The speculation about Marvel setting up Doctor Strange‘s Baron Mordo to succeed the villainous Loki isn’t exactly new. But with more installments in the Marvel Cinematic Universe and a Doctor Strange sequel on the horizon, things are beginning to look much clearer. Mordo is played by Chiwetel Ejiofor, a known villain in the Marvel comics and first introduced in Doctor Strange in 2016, an acolyte of The Ancient One (Tilda Swinton) who is versed in the mystic arts. 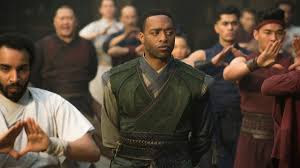 In the movie, Mordo acts as Doctor Stranger’s mentor and befriends the new disciple. Marvel villains have left their marks on the topography of movies spanning since Iron Man (2008), but not many are as profoundly nuanced as Tom Hiddleston’s Loki. Sorry, Killmonger. Here comes a spoiler if you haven’t seen Avengers: Infinity War: Loki dies. And considering the tumultuous relationship between Thor and Loki in precious MCU movies, most manifested in Loki’s scheming jealousy of Thor’s rights to rule Asgard and the Mordo-Doctor Strange relationship wherein it appears The Ancient One favours Strange, Mordo naturally feels like a Loki successor. So, there you have it. As for whether he will quickly slip into Loki’s villainy boots in Doctor Strange 2, we’ll just have to wait and see.